SUFFOLK, Va. - May 7, 2013 - PRLog -- (Suffolk, Virginia) -- Today, Dr. Princella Johnson, Y2K Academy Founder, announced a new resource for military members and other individuals desiring healthier relationships. Heart to Heart begins Friday, June 7, 2013 at 7 p.m., 3537 Pruden Boulevard, Suffolk, VA 23434. The “Top 10” Relational Needs is an 8-weeks seminar ideally designed to introduce relationship principles for anyone hoping to deepen the connections among mates, friends, and family. The course is FREE, but workbooks are $15 each. Space is limited, so registration is required by logging onto http://Y2KAcademy.Webs.Com by May 26th. 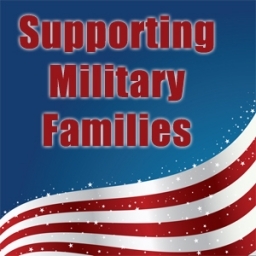 “With Hampton Roads being home to the world’s largest military base, Y2K Academy desires to assist military families maintain healthier relationships, due to the severe emotional, economic and mental trauma divorce causes for children. Stronger military marriages, stronger national defense,” states Dr. Johnson. “In Heart to Heart, attendees will learn what it sounds like to meet the need of attention, what it looks like to show support, how impacting it can be when we meet the need of comfort and so much more,” she said. For more information, call (757) 925-4545 or e-mail Y2KAcademy757@gmail.com. Workbook payment and registration deadline is May 26th. Y2K Academy Hosts 4th Annual Fathers As 1st Teachers on the 1st Day of School Giveaway for Girls!